Sama-Sama Kuala Lumpur International Airport (formerly Pan Pacific) is conveniently located next to the KL International Airport’s Main Terminal Building. 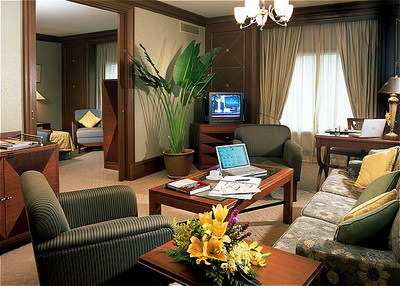 The hotel is linked to KL International Airport via a sky-bridge and is just a five-minute walk. 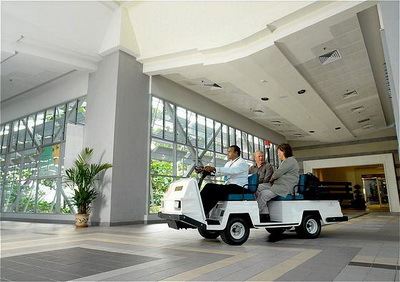 Sama-Sama Kuala Lumpur International Airport also provides a complimentary 24-hour buggy shuttle service between the airport and the hotel. Guests can also check into their room at the hotel check-in counter located at the baggage claim area (Carousel F) of the Airport’s International Arrival Hall. Sama-Sama Kuala Lumpur International Airport offers 441 luxury guestrooms and suites with sumptuous food and beverage outlets, namely, Palm Terrace (poolside), Palmz Lounge, Traveler’s Bar & Grill and Degrees Restaurant (24 hours). The hotel’s recreational facilities include a beautifully landscaped outdoor swimming pool, outdoor tennis court and a 24-hour Health and Fitness Centre, featuring a fully equipped gymnasium, steam room, sauna and Jacuzzi. 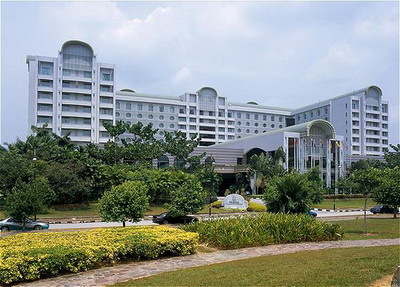 Sama-Sama Kuala Lumpur International Airport is the preferred hotel choice for transit air travellers with a few long hours in-between flights. Air travellers with early morning departures or late night arrivals will also find the hotel perfectly suited to their unique needs. The hotel’s lush tropical landscape, water features and soothing environment make for a rejuvenating break for the jet-lagged and weary traveller. However, for the restless health conscious buff, there is the hotel’s 24-hour Health Centre and Gymnasium. Fully equipped with business facilities like the internet and wireless network capabilities, business can be conducted any time of the day or night, seamlessly at the hotel’s Business Centre. 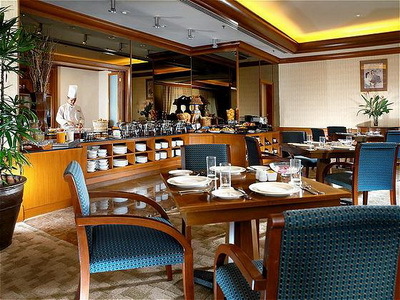 In addition, the hotel’s facilities also make it the ideal meeting place for seminars and conferences. All the 10 function rooms and an auditorium that can accommodate up to 184 people are equipped with high-speed Internet access as well as premium audio-visual services and equipment. 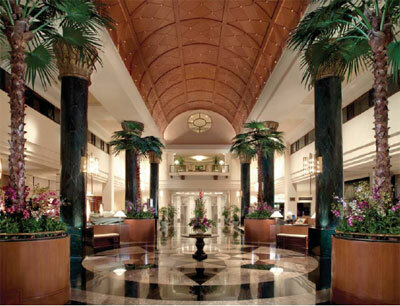 A team of professional meeting associates are also on hand to assist in the detailed arrangement of any event. CHECK-OUT the hotel’s latest unique guest facility! You can now CHECK-IN at Kuala Lumpur International Airport. The hotel’s newly opened check-in counter at the airport’s International Arrival Hall baggage claim area now adds another superb convenience when staying at Sama-Sama. While waiting for your luggage to arrive, our airport associates will check you in, another effort in cutting down time wasting. Why not try it out the next time you stay with us? NOTE : This facility is not available to Domestic Arrivals.